The Gift That Pays You Income for Life and Saves You Taxes! Disappointed with the low rate of return for your Certificates of Deposit but you don't trust the stock market for investment of your cash. Tired of paying high income taxes and looking for a tax-advantaged alternative. Tired of the fluctuating stock and real estate markets. Concerned that if you sold your appreciated assets, you would pay taxes on the capital gain. 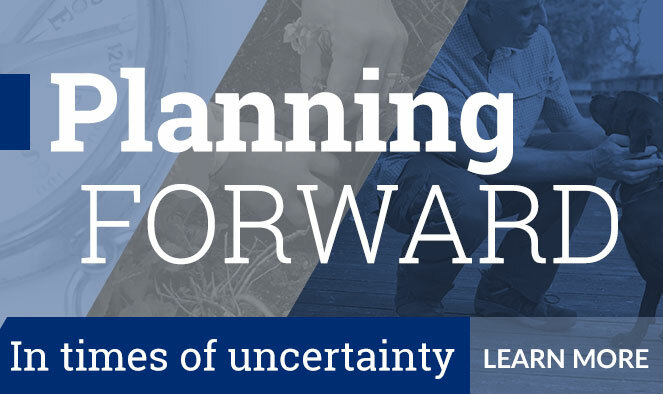 an easy way to create a meaningful legacy at Scripps Health. Your gift will save lives. It is a win-win gift that benefits both you and the mission of Scripps. A charitable gift annuity is a simple contract between you and Scripps Health in which you transfer assets to Scripps Health and in return, Scripps Health makes fixed payments to you for the rest of your life (and that of another, if desired). The person who contributes an asset for the annuity is called the "donor," and the person who receives payments is called the "annuitant" or "beneficiary." Decide on the amount of your gift (minimum $15,000) and the type of asset you will use to fund your gift annuity (cash, stocks, mutual funds, etc.). Call 858-678-7120 and ask to speak with a Gift Planning Officer at Scripps Health Foundation to request a charitable gift annuity illustration for your proposed gift. Click here to request a free gift annuity illustration and information. Consult with your professional advisors, as desired. Review and sign a one page Gift Annuity Agreement (prepared by a Scripps Health Foundation Gift Planning Officer after you are ready to complete your gift and the gift has been approved by Scripps Health corporate officers). After it is approved, simply mail or deliver a check to a Gift Planning Officer, or transfer marketable securities from your broker to Scripps Health's broker (subject to prior approval). Click here to request information about using securities to fund your charitable gift annuity. Scripps supporters, James and Lee, have completed several charitable gift annuities with Scripps Health. Scripps Health pays you fixed income (based upon your age and amount of your gift) for the rest of your life. Your payment is not dependent on the stock, real estate or investment market. A portion of your annuity payment may be tax-free,***depending on the type of asset used to fund the gift annuity. You will receive an immediate charitable income tax deduction* for the value of the remainder interest of your gift which can be used for up to six years. After your passing, the remaining balance from your gift will go to support the work of Scripps Health. You enjoy the satisfaction of supporting the work of Scripps Health. Your gift will help us save lives and transform the future of healthcare. You may start receiving your charitable gift annuity payments as early as the following month. Cash- a significant portion of the annuity income will be tax-free. Appreciated securities- you may be able to avoid or delay capital gains taxes. Use your home to fund your move to a retirement community. Use your vacation home to increase your income. Not all gifts of real estate are accepted. Please contact a Gift Planning Officer for more information. The interest rates on your CDs and other fixed-income investments have declined, and you would like to increase your cash flow. You own appreciated stock or mutual fund shares and have considered selling some of the shares and reinvesting the proceeds to generate more income, but you don't want to pay tax on the capital gain. You would like to count on fixed payments, which are unaffected by interest rates and stock prices. You want to assure continuation of payments to a surviving spouse without the delay of probate proceedings. Scripps follows the rates suggested by the American Council on Gift Annuities which are based upon the ongoing review of certain interest rates that produce investment return assumptions, minus typical expenses, combined with mortality tables, the target gift residuum and other assumptions used to create the rate schedules. Older annuitants benefit from higher annuity rates. 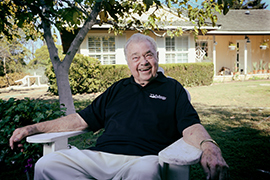 Minimum age for a charitable gift annuity with Scripps Health is 65 years. Rates also vary according to the number of annuitants. Rates for two-life contracts are slightly lower because of the extended period of time that payments will likely be made. See the sample rates below or Click here to request a FREE personalized charitable gift annuity illustration using my personal rate. 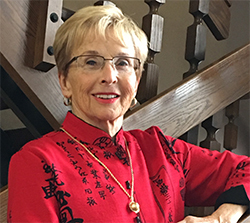 Mary, age 76, wants to increase her income because she is tired of the low Certificate of Deposit rates she has been earning for many years. She is a widow and doesn't really want to risk the principal in her CD because it will erode her future income. She also wants to support the new hospital capital campaign at Scripps Memorial Hospital La Jolla. She realizes that if she donates her maturing $25,000 CD to fund her gift annuity, that she will always be earning the same fixed rate for the rest of her life and she will no longer be at the mercy of the interest rate market. 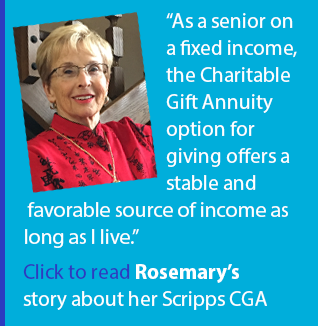 Mary chooses a one-life charitable gift annuity with Scripps. Her annuity rate is 6%. Scripps pays her $1,500 each year for the rest of her life. Because she itemizes her tax deductions, she earns an immediate charitable income tax deduction of $11,955* (the value of the remainder interest going to Scripps Health). Of the $1,500 payment, $1,105.50 is tax-free for her life expectancy of 11.8 years. The rest of her payment is taxed as ordinary income. Click here to request a personal illustration for your charitable gift annuity using cash. 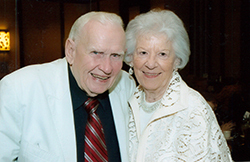 Joe, age 80 , and Joan, age 78, both retired executives of Company Z, have a large concentration of Company Z corporate stock for which they both worked for over 40 years. The stock has appreciated substantially in value over the years and is now worth $100,000 with a tax basis of $10,000. The stock price just recently started to decline and the dividends have decreased to 1%. They need increased income for their retirement and they want to diversify their portfolio. If they were to sell the stock, they would have to pay large capital gains taxes on the $90,000 gain. They want to support the construction of the new Scripps Mercy Hospital. They decide to create a two-life charitable gift annuity with Scripps Health using their corporate stock. Their joint and survivor annuity rate is 5.6%. Scripps pays them $5,600 per year for their joint and survivor lives. They receive a charitable income tax deduction of $43,747*. Instead of paying large capital gains taxes if they were to sell the stock, they pay a portion of the capital gains taxes over their joint life expectancies of 13.4 years and some of the tax is avoided entirely. Click here to request information about using marketable securities to fund your charitable gift annuity and for a personal illustration. Want to wait until you are ready to retire or a later date to receive your annuity payments for life? You can establish a deferred gift annuity now, receive a current charitable income tax deduction and receive your income payments at a designated future time. Best of all, because you deferred your payments, your annual payment will be higher than with an immediate annuity. It is possible to arrange for a charitable gift annuity to be established after your passing through a gift in your will or living trust. It is recommended that you specify a certain amount for the creation of the gift annuity (in your will or trust) to reduce the risk of losing the estate tax charitable deduction. The annuity can be either immediate or delayed payments for the individual, but needs to meet Scripps' minimum age for gift annuities and must follow Scripps' published rates. If the beneficiary does not meet Scripps' minimum age, then the language should be flexible enough so that a deferred annuity could be an option. Flexibility in the payout rate is also necessary to ensure that the annuity meets the 10% minimum charitable interest requirement. A contingent annuitant should be specified in case the designated annuitant(s) predeceases the testator/settlor. If this seems likely, an outright gift to Scripps Health is a better choice as the second alternate beneficiary provision. You should contact the Office of Gift Planning at Scripps Health Foundation directly to discuss your objectives, the minimum age requirements, the rates, the language that should be used in your will or trust and to discuss the flexibility options. Are You Living in a Gold Mine? Want to stay in your home and receive lifetime income from Scripps? You may be able to create a charitable gift annuity with your home and continue living there throughout your lifetime. This life income gift arrangement is called a Life Estate Gift Annuity. Give your personal residence, vacation home or farm to Scripps Health. Reserve a life estate; continue to live in the property for your life. 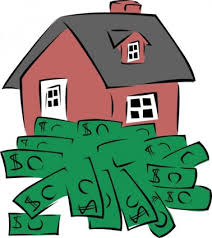 You continue to pay your homeowner's insurance, property taxes, HOA and maintenance. Receive secure fixed-income for the rest of your life (based upon your age and the value of the remainder interest). Annuity payments may be partially tax-free. Avoid or defer capital gains taxes. Intended for individuals over age 75; no mortgages please. Click here to request information about the Scripps Health Life Estate Gift Annuity Program. WHAT ASSURANCES DO I HAVE ABOUT SCRIPPS ANNUITY PAYMENTS? Charitable Gift Annuities are regulated by the California Insurance Commissioner, who is charged with responsibility to regulate gift annuities. Scripps Health is licensed by the State of California to issue gift annuities to California residents. When a gift annuity is established, Scripps must use the money from the gift to establish a " required reserve" for each gift annuity, which is set aside. The reserve fund is calculated by the California Insurance Commissioner to be sufficient to make all annuity payments for the life expectancy of the annuitant. Each year, a report on the status of Scripps' gift annuities and the reserve is sent to the Insurance Commissioner to prove that the required reserve fund continues to be sufficient to make the payments for the lives of all annuitants. The California Insurance Commissioner must approve our investment manager and investments for the required reserve fund must meet strict investment requirements and as such, these assets are invested in stocks, bonds, money market funds, and federal obligations. The California Insurance Guarantee Association does not insure or guarantee payments of gift annuities. The annuity payments are a general obligation of Scripps Health and they are backed by all of Scripps' assets. Establishing a gift annuity with Scripps Health is not and should not be regarded as an investment. Instead, it is a way to receive partially tax-free payments while also making a charitable gift to support an organization that you care about, Scripps Health. A charitable gift annuity is irrevocable and your gift may not be refunded after it is created. In addition, if the donor/annuitant passes away prior to his or her life expectancy, the balance in the reserve account for that Donor is distributed to Scripps Health. The unrecovered basis may be deducted on the Donor's final income tax return as a net operating loss deduction not subject to the 2% limit. IRC Sec. 72(b)(3) and IRC Sec.67(b)(10). When you create a Charitable Gift Annuity with Scripps Health, your gift is divided into two interests (referred to as a "split-interest" gift). One interest represents the payments that you will receive from Scripps for the rest of your life. The other interest is attributable to the gift portion that Scripps is estimated to receive after your passing. In the year of your gift, you will receive a charitable income tax deduction for the value of the charitable gift interest. Under the new 2018 tax law, your deduction is increased to 60% of your Adjusted Gross Income if you use cash. Your deduction is 30% of your AGI if you use long-term appreciated assets (e.g. securities and real estate) and you itemize. If you cannot use the entire income tax deduction in the tax year of your gift, you may carry the remaining deduction forward for up to five additional years. If you fund your gift annuity with long-term appreciated assets rather than cash, you will benefit even more because you will avoid paying the long-term capital gains taxes at the time of your gift. Instead, a portion of your tax on gain will be avoided entirely and some of your payments will be taxed as capital gain over your life expectancy (or if two lives and married, then pro-rated over your joint life expectancies). Some exceptions apply. With a cash annuity, the contract value represents your principal. This principal is returned on a pro-rated basis each year to you. Since this pro-rated portion is a return of your principal, it is tax-free. If you fund your gift annuity with appreciated property, the taxation of annuity payments will take into consideration the long-term capital gain. If the annuity is written for your life, or your life and your spouse's life, then the capital gain on the annuity portion may be taxed and pro-rated over your life expectancies, so that part of the annuity payment will be tax free, part will be capital gain and part will be ordinary income (depending on the cost basis). **** If the donor is not the annuitant or spouse, the capital gain allocated to the gift portion is still bypassed. However, the capital gain on the annuity portion will be recognized and reported by the donor in the year of the annuity contract/gift (if, for example, a child, nephew, niece or friend is the annuitant). No one website can explain everything you need to know about gift planning opportunities and which method would be the most advantageous to meet your particular goals. The information on this webpage is educational and is not legal, tax or financial advice. Prospective donors should seek the advice of qualified professional advisors when considering your options for charitable giving. Tax results may vary depending on your personal tax situation. Laws are subject to change. Charitable Gift Annuity payments are not protected or otherwise guaranteed by any government agency or the California Life and Health Insurance Guarantee Association. Annuity payments are backed by the assets of Scripps Health.